How should we view serving in the church? (For that matter, how should we view serving at work, serving at home, serving our neighbors?). Each of us should ask: am I serving like God wants me to? 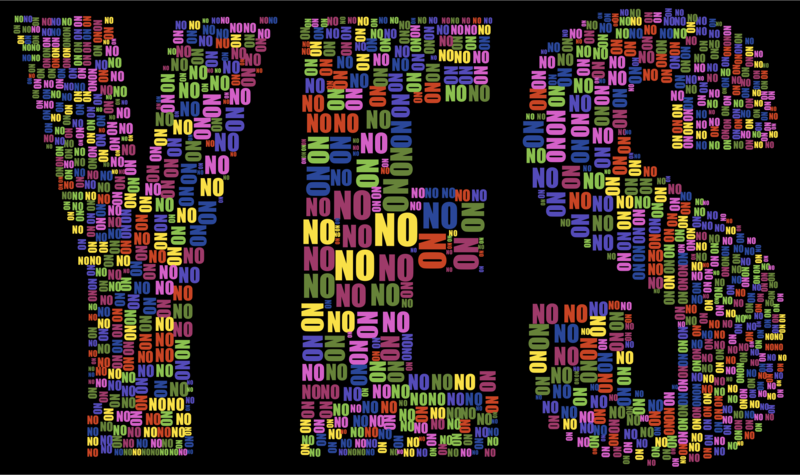 Are you saying “Yes” enough? Are you saying “No” enough? How should we respond to all the opportunities there are for serving? In my weekly Saturday morning email to Faith Church I mentioned the 80/20 principle that says 80% of the ministry of the church is done by 20% of the people. That’s a pretty cynical view, and it comes from people who are in churches where that ratio might be true. I am here to say that Faith Church is NOT following the 80/20 rule. I guess that makes us rule-breakers! I went down through the list of all 130 or so people in our church family, and I think we are much closer to something like a 90/90 rule. 90% of the people are doing 90% of the work. That’s is so awesome. I love how you serve, Faith Church! But does that mean that mean we are in the clear and don’t need to think about serving? Let’s take some time to look at what Jesus had to say about the discipline of serving. Take a look at John 13:1-17. In this famous and astounding story, Jesus demonstrates for us how to view our connection to the church. Just hours before his arrest, trial, beating and crucifixion, Jesus has a final meal with his followers. John was there, recording the event for us, depicting Jesus going one by one to each of his disciples, washing their feet. At Faith Church we re-enact this many years on Maundy Thursday. It is very, very humbling to hold someone’s crusty feet in your hands and wash them. We don’t believe that Jesus wanted us to practice ritual footwashing. That’s not why he washed his disciples’ feet. While it is not wrong to reenact the ritual if done with the right motivation, Jesus had something else in mind. That night, Jesus had every right to ask his disciples to serve him. He is the Messiah, the King, and God in the flesh, for goodness sake. He was their leader, their teacher, Rabbi. They were his disciples. They should have been washing his feet. Instead he showed them, and he showed us, that those of us who are his disciples will have a totally different view of the world. In a world of consumers, we are called to be servants. In a world where the norm is to be entertained or to be pleased, we are called to be selfless. We should see our connection to a church family, therefore, as selfless servants. Right away, if you’re like me, you start thinking, “Man, being a servant sounds horrible.” Giving of yourself? Selflessness? They all sound boring, hard, and stupid. Who would do that? It is a good question. Jesus’ call to discipleship is not a call to be consumers. It is a call to be servants, and that is not easy. So we have to ask, Is Jesus right? Many societal observers say that we live in a consumer society. This week I posted an article on the Faith Church Facebook page about how generally-speaking people view their connection to church in terms of what how a church family can benefit them. People do this because they have been discipled, taught by society to be consumers, taught that life is about what they can get out of it. We are so used to living in a society that is in large part designed to please us, with loads of choices about clothing, food, and entertainment. We look at vacation and the movies and TV shows, and many other various forms of comfort, as the epitome of life. We look at ease and luxury as what we are to attain to. Consumers, therefore, feel that the way to evaluate church worship services and their participation in a church family is this: how do those church activities make them feel, or benefit them? If a church worship service doesn’t excite them, they are prone to start feeling down about the church, and move on to go to another church to see if it can do a better job at worship. If a church family isn’t reaching out to them, they feel the church must be cold and uncaring. For a consumer, church is not about serving, it is about receiving. So how about you? Do you have a consumer mentality about church? Jesus comes along and says “What you are to attain to, what you are to make your life’s work, is to be a servant.” And what we find, surprisingly, is that selflessness and serving can be done with joy, leading to a life of deeper satisfaction than we ever thought possible. I think about Whitney’s quote in relationship to The Door Christian Fellowship. On February 12, 2017, we started renting space to The Door. They rent five rooms 24/7, and we share many other spaces in the building, including the sanctuary on Sunday mornings. Faith Church worships at 9am, then we have a combined meet and greet with both churches from 10:15-45am. Faith Church then heads to classes, and The Door starts their worship at 11am. Our youth groups have started working together. Our Leadership Teams have had two prayer times together, including one meal. We even did a congregational meal together last fall before The Door started renting. We are so thankful for the partnership with have with The Door. Before The Door moved in and started worshiping here in February, many of us put in a lot of work to make room for them. There was a lot of serving and giving and selflessness going on, and I continue to be extremely proud of how Faith Church has been flexible and opened its arms to another congregation. We had to give up space, move classrooms, and even start our worship service one half hour earlier. In the months leading up to that first Sunday with The Door, I had lots of conversations with people outside of Faith Church about this arrangement. The feedback I got (and still get) is that what we were/are attempting is fairly monumental, even unheard of. People were quite curious about it. I talked about it a lot with family and friends, and one person, whose opinion I really respect, questioned the idea of one church renting to another church, when those churches are very similar. Rent to a church with a different ethnicity? No problem. Faith Church had rented to Hispanic and Ethiopian congregations in the past, but those churches worshiped on Saturdays, and in different languages, so not too much mixing happened. The Door, however, is nearly identical to Faith Church and worships on Sunday. Renting to a church so similar to your own? My trusted friend questioned it. At the heart of the concern was: What if renting to The Door helps them so much that they grow faster than Faith Church does? What if people from Faith Church decide they like The Door better? What if renting to The Door has serious negative consequences for Faith Church? I appreciated their concern very much. Actually it kinda scared me. I really respect this person’s opinion. What if renting to The Door was a colossal mistake? Here’s the thing though: our Leadership Team had prayed and discussed and prayed some more and discussed some more, and we firmly believed that this was the right thing to do in the Lord’s eyes, for the mission of his Kingdom. In a way, we wanted our entire church family to serve another entire church family. And though our time of renting to The Door is still very much in the early stages, only six months, I am growing more and more convinced that it was the right decision. We truly see it as a mutually beneficial partnership! Just like all the other disciplines we have been studying, then, serving is a decision, a choice we must make. It is true that serving is listed as one of the spiritual gifts. Some say that once you find your spiritual gift, using that gift is a joy, flowing naturally through you with ease. But that is not always true. Serving can sometimes be hard. Serving means giving of yourself and that is not always easy. Sometimes we just need to serve where needed, because it is needed. And we might not like to serve in that particular way. Whitney says that we should serve because God calls us all to serve. Serve motivated by love for God and his church. And remember that Jesus showed us and taught us that service is done by a servant. Normally we think of servants as lower than us. But identifying ourselves as servants is a must. Servanthood is a critical element of what it means to be a disciple. Disciples need to cultivate a lifestyle of serving. It is a choice we make, to take on the identity of a servant, and to practice being a servant. How can you practice serving as a discipline? How can you have a servant’s heart in every situation? It might mean that you serve, even when your heart is not in it. It might just be serving because it is a job that needs to be done and no one else is signing up to do it. But does that mean you need to say “Yes” to every opportunity that comes your way? I will admit that it is tough to know when to say “No” and not feel bad about it. It is hard to know when to say “Yes” and sacrificially serve. I was recently asked to consider being the president of our local Ministerium. I really, really believe in our Ministerium. I think it is amazing how churches of all shapes and sizes, from a variety of denominations, can work together here in Conestoga Valley. I was the secretary of the Ministerium for a few years, have taken a year off, and thought I would consider being president. I wanted to say “Yes”. I would love to play a more hands-on role in keeping the Ministerium moving forward. As I talked it over with Michelle, with the PRC, and prayed about it, I sensed I needed to say “No.” I can’t say for sure that I made the right decision. Often when we say “No” there is a lingering sense of guilt. We don’t want to disappoint people. We also think we might have been able to help. Being a faithful servant doesn’t mean that you have to say “Yes” to every opportunity that comes your way. We do need to learn when it is wise and right to say “No”, and when people say “No” to an opportunity to serve, we should allow them to say “No”. We should receive their “No” graciously, without pushing and pushing them to reconsider. As you can see though, it is a tricky balance. We should also be people who are willing to say “Yes,” people who are willing to sacrificially serve just like Jesus did. I find it difficult to know when to say “Yes” and when to say “No.” You have to know yourself and your family, and seek wisdom. Spend time in prayer, asking God for wisdom. There are certainly times when it is wise to say “No.” When your kids are young, for example. When you are newlywed. When you are going through serious stress or difficulty. Do you know how to depend on God? I would like to submit that you show you depend on God by the choices in your life. You cannot depend on God only in your mind. So how are you showing, by the choices you’ve made, that you depend on God? I’ve been preaching all summer on the various spiritual disciplines, and I’ve included “How to Depend on God” as a spiritual discipline for this reason. We must choose to make a habit of it. I have heard many people reactively depend on God. Often when we go through difficult times, we find ourselves praying more, reaching out for God more, depending on him more because all of our other options for dealing with life have been exhausted. And during those tough times, we grow close to God. But what about proactively depending on God? What can we actually do or practice to show that we are regularly depending on him? Jesus once taught that depending on him is not just an option, but a necessity, for his disciples. Take a look at John 15:1-8, and you’ll see what I mean. He calls it “remaining” in him, or “abiding” in him. The beautiful thing about remaining, depending on him, Jesus says in John 15, is that when we depend on him we will bear much fruit. So let’s look at some practical ways we can depend on God. As you hear these ideas, remember that Jesus said in John 15 that we have to choose to depend on him or we will not have his power flowing through us. What if every month you purposefully choose something to do that will require God to come through for you? It could be practicing a new spiritual discipline such as fasting, or spending half a day in prayer. Maybe start the day by practicing a spiritual discipline of prayer and Bible study. You could end the day with the practice of a spiritual discipline, in place of TV Time. In sermon discussion last month, two people each talked about how they spend a lot of time watching TV at night, and they expressed a desire to spend more time in prayer or reading the Bible. So we talked about how they could possibly meet up one night per week for an hour, skip TV, and pray together, study the Bible together. Another way to make a choice to depend on God is to give him a radical gift. Years ago, before I started at Faith Church, a previous pastor challenged the congregation to attempt a really interesting, proactive way to depend on God. It was called Give-A-Day, in which people would give the equivalency of one day’s salary for the needs of the church. It was totally voluntary. Those who wanted to participate would calculate what one day (8 hours) of salary would be, and give it to the church. Then they would prayerfully watch God work. Is anyone adventurous enough to stick your neck out and depend on God to get you through? Reflecting on Give-A-Day, one person told me the story of what happened when they chose to participate. They calculated what one day’s equivalency of their salary would be, knowing that it was a sacrifice. A scary one. At the time they lived paycheck to paycheck, and they needed that money to pay the bills and put food on the table. But they accepted the challenge, and with nervous joy gave the money to God. That next week they were surprisingly offered overtime, which never happened, and the overtime income replaced all the income they gave for Give-A-Day. As they recalled their thoughts and feelings, they said “it was exciting to watch God provide.” They depended on God. Another great way to show that you are depending on God is to go on a mission trip. Get out of your own culture. Maybe sign up for a week-long mission trip which will mean you have to give up one week of vacation. Watch what happens as you depend on God. Or you could serve in a ministry in the church that is asking for volunteers. Even if it is not your favorite way to serve. Maybe you’d go so far as to say that you can’t stand serving that way. Would you be willing to depend on God and go for it? At Faith Church, we are seeking more instrumental musicians for the musical component of our Sunday worship. Maybe depending on God could mean refreshing your ability to play that musical instrument that is gathering dust in the attic. I admit that this idea sticks with me personally. I have been spending too much time playing games on my phone. There is very little value to those games. Time wasters. What if I pulled out our guitar and practiced it, to get to the point of playing in worship? Here’s another great idea. What about just simply trying something new to the glory of God? I listen to a podcast called Invisibilia. A recent episode featured a guy, Max, who loved his life. He enjoyed creative work, was paid well, had wonderful friends, and delicious food. But he began to realize that even though it was all good, he was in a rut: get up, go to work, come home, go out with friends, get up, go to work, come home, go out with friends. So he created a Facebook app which picked out random events for him to attend. He went to whatever event the app randomly selected. It forced himself out of his comfort zone. It was scary and felt a bit risky. But it added a new dynamic to his life. One Christmas Day he used the app. He and a friend showed up at a random people’s house for Christmas dinner. Max says that he and his friend were nervous as they rang the doorbell. The host opened the door and welcomed them in. They ended up having a great time. Depending on God is like that. Scary, risky, getting us out of our comfort zone, but so vital. Get out of your comfort zone specifically to depend on God. The very act of our dependence forces us to give up a little bit of our lives over to him. Depending on him becomes more and more of a joy, more and more of a delight. How will you show that you depend on God? I learned something surprising this week. I was studying humility for my summer sermon series on Spiritual Exercises (spiritual disciplines). What surprised me is that humility is not simply a state of mind or a belief. It starts there, but it doesn’t stay there. Humility, Jesus in particular showed us, and the biblical writers tell us, is lived. We can and should practice humility. Even if our heart is not totally humble, humility is something that we can work on. We have to be intentional about it. 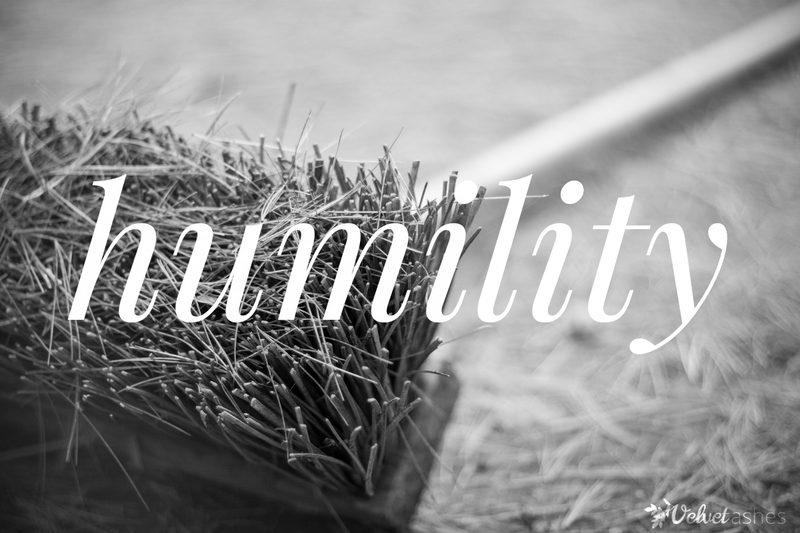 So how do we become more humble and practice humility? I found numerous excellent suggestions from the biblical writers and others. Here are a few steps to become more humble. Pray for God to humble you. Pray for change in your life so that you become humble in your heart. Pray to be humbled? Sounds a bit scary, and it requires that we believe achieving a greater amount of humility is worth it. But if you want to become more humble, ask God to humble you. In conversations, practice the 60/40 rule. My seminary professor, David Dorsey, taught that to a class I was in. His goal in every conversation was to listen about 60% of the time, and talk 40%. I love how that emphasizes the humility of listening, but doesn’t negate what you yourself have to offer.Force yourself not to be the one to talk. Actively battle a tendency to make yourself look good. Ask the question of people who will speak honestly to you “Do I talk too much?” Discipline yourself to realize how long you are talking. Try to listen, and ask questions of your conversation partner to show you are listening and interested in them, even if you aren’t! As the wise teacher says in Proverbs 27:2 “Let someone else praise you, and not your own mouth.” Force yourself not to say what you have done that is good. Whether in conversation or on social media. Ask people to tell you if you are pumping yourself up too much. Hear me on this. It is not wrong to recognize that you have abilities. When I was little, I once overheard my dad saying to my mom that he felt he was getting good at computer programming. At the time he was in his doctoral studies for computer education. His comment was simply an attempt at honest evaluation. He didn’t go around bragging about his skills. In fact, that was the only time I ever heard him say that, even when he got a computer game he programmed published in a programming magazine. So there needs to be balance. Don’t go around saying how great you are. Let others praise you. Let your work, your achievements, your skills do the talking. As I have said to my kids, don’t tell me how good you are at a certain sport. Show how good you are on the field. It can be really tricky. Really evaluate why you are saying what you are saying. Stay attuned to your heart. Even if you are giving a rundown of what you did on a certain day, and you are listing it out on Facebook, realize that you can be promoting yourself. When have you crossed the line from humility into pride? I can’t answer that for you. But we all should be evaluating that. Hold your judgment for a while. Here’s a guy that needs a dose of the needed patience humility can bring. It can be so easy to rush to judgment. But the humble person says “I’m going to keep my mouth shut and my mind open because I could be totally wrong about this situation.” Wait to evaluate. Then wait some more. Collect data. Make sure it wasn’t just a one-time anomaly. Give grace. Fourth, be like John the Baptist, willing to decrease so that others can rise. “Do nothing out of selfish ambition or vain conceit,” Paul says, “but in humility consider others better than yourselves.” I recently heard of a guy who was recently hired at a company. This guy so badly wanted to impress his boss. He wanted the boss to like him, he wanted to rise. So when another employee told this guy in confidence that he (the other employee) was looking for other jobs, this guy who wanted to rise saw an opportunity. He spilled the beans to the boss, broke confidence, and told the boss about the other employee’s plans. The boss, of course, talked with the other employee saying, “So, I heard you’re leaving us…” The other employee was shocked and embarrassed, his confidence betrayed by the guy who wanted to rise. Fifth, go last. Jesus also taught quite a bit about humility. In Luke 14:7-15 he was at a big fancy dinner, and he noticed people scrambling for the best seats. So you know what Jesus says to them, “he who exalts himself with be humbled. Take the last seat.” Many times Jesus said things like this. One of his famous sayings was “the last will be first, and the first last.” So at a gathering, be last. Make sure everyone else before you goes first. Trying to decide what TV show to watch? Let the other person get their way. Trying to decide where to go to eat, let the other person get their way. Be willing to enter into a situation that you don’t like. Don’t get your way. Give up your way. Next, Paul taught in Romans 12:16, “Do not be proud, but be willing to associate with people of low position. Do not be conceited.” If you live in the Lancaster, PA, area volunteer at places like CVCCS, Water Street, or Church World Service…and don’t tell anyone about your volunteering. Here’s another idea: get an accountability partner. Just the act of having someone tell you what you need to work on is humbling, and we need that. John Dickson, in his excellent book Humilitas, encourages a few more practical steps. I suggest you get his book and read it. I’ll share one step he recommends. Study the lives of the humble. In the Old Testament book of Numbers, we’re told that Moses was the most humble man alive. Why? How? Read about his life and find out why. I have some theories, and I’m not going to tell you them. Find out for yourself. Of course, study Jesus. But there are others. Mother Theresa, for example. Find more people who are considered humble. Study them, learn how they were humble. Why they were humble. Imitate them. Get a trainer. Know someone you consider humble? Ask them to help you become more humble. Get Humilitas and start reading it together, working on implementing its ideas into your lives. And handle your foray into humility with grace and generosity and love. Don’t be a begrudging humble person. Humility can be, well, humbling. And being humbled is hard. It can make us grumpy. But we need it! What kind of worship does God really want? It could be very easy to be critical of the mega churches. smoke machines, and professional praise bands, and huge auditoriums. But it is a question that should be asked of any church worship service. Do you know the answer to Casper’s question? God says that we should worship him. No doubt about that. But did God tell us that he wants to be worshipped like this? Did he want us to build church buildings? The answer is No. God wants us to be people who worship him, Yes. And we can worship him in a church building, with songs and chairs and classes. We can worship him with sound systems and video projectors and hymnals and pews. We can worship him with all of it. But let us remember that God didn’t ask for all that. When it comes to worshiping him, he didn’t ask for any of the religious, churchy stuff that we spend a lot of time and money on. Furthermore, the danger of all the churchy stuff is that we can deceive ourselves into thinking that Sunday morning worship and all the activity that we do on Sunday is what God desires. We can deceive ourselves into thinking that if we come to a church worship service, then we have satisfied the desires of God. Here’s the harsh truth. We don’t need any of this to worship God. None of it. We don’t need a building, we don’t need all the stuff in the building, and we don’t even need a timeslot on Sundays for a worship gathering. We can satisfy the worship desires of God without any of it. By understanding what God desires worship to actually be. The answer to Matt Casper’s question is “no, God did not tell us to do all this.” We added it. All this churchy stuff is not inherently wrong. We can worship God in a church building, by singing songs, giving an offering, praying, sharing stories of how God is at work in our lives, by studying the Bible, by fellowshipping and encouraging one another. All this stuff we do on Sundays, all of it, can be worshipful. But we need to see that we added it. So what is worship supposed to be? First of all, prepare to worship every day. Paul once said that no matter what we do, even whether we’re just doing the mundane everyday stuff of life, like eating and drinking, do it all to the glory of God. So how do you do that? Try to have a daily practice of starting each day by offering thanksgiving to God. Count your blessings. Maybe when you first wake-up. Then Read Scripture. When we read Scripture consistently, it results in more knowledge of God, and that results in more accurate worship. In Scripture we learn to know him better, more accurately, more intelligently. Second, see worship as happening 24/7. How do you do that? This is very much in line with what Paul says Romans 12:1-2 – what is our spiritual act of worship – to offer our bodies as living sacrifices. Thankfully, life is not always hard! In fact, many times, praise God, he blesses us, and we get to enjoy the fruits of our labor, the joy of the Lord, the wonders of life on planet earth. We can and should worship God during those times of blessing as well. If you haven’t seen the movie Chariots of Fire, I urge you to check it out. It is the true story of Eric Liddell who was an Olympic miler. He was also a Christian. He talks about how when he ran, he could feel God’s pleasure! You can worship while you run, while you eat, while you enjoy vacation. You can worship during the mundane as well. Life is neither always awful, nor always joyful. Often life is filled with tasks that just have to get done. Some you might dislike. But you can also enjoy the mundane. Mowing the lawn. Raking leaves. Worship while you work through these tasks too, like changing diapers, cleaning the toilet. All of this can be done in worship, Paul said, done to the glory of God. We especially spend a lot of time at work, don’t we. So work as unto to the Lord. Work hard. Work without complaining. Work with joy. With creativity. Practice the Presence of God. Be in a conversation with God all day long, as much as you can. Invite God to be right there with you. Next to your desk. Watching what you watch on your computer. Third, learn the spiritual exercise of focused periods of worship as larger church family. Let me share a private thought I have, one that I wrestle with. We have 130 people in our congregation. But our Sunday morning attendance? It has been around 95, 100, or 105 over the last few years. What is going on? 25% of our congregation is not here, on average, every single week. That is true in most churches. Why is this happening? But know this: there is an element of the Christian life, that can never be experienced by watching worship on TV or the internet, by listening to a podcast, or being alone in nature. Worship is not just the songs. Worship is the giving, the sharing, the encouraging, the prayer, the learning. An extremely important part of worship is doing it together. Getting the family together. Do you need to change your heart attitude toward Sunday worship? Do you need to gather with your church family more frequently? Fourth we should practice the spiritual exercise of personal periods of focused worship. This is when we take some time to focus on God, alone with him. This is when we put aside all we’re doing, get alone, without letting anyone know what we’re doing, and worship God alone. This time alone with God can include song, Scripture, prayer. It’s up to you. When I read the Psalms, many of them were written out of an individual’s private, personal worship of God. Include this as part of your regular prayer and Bible reading. Start the day with personal worship. Do not worry about other people who can do it better than you. You don’t have to go to seminary or be a professional theologian to get alone and worship God. Maybe just count your blessings. One of my favorite passages is Psalm 116:12-18. Allow the history of God’s blessings in your life to motivate you to praise and thank him, so that you can live out your day in a thankful, worshipful heart and mind. We’re all different. Some people might really be able to worship while driving, and for another person that might be next to impossible. But remember that if worship doesn’t mean singing praise songs all day long, we can think about worshiping in other ways during the day. Whatever you do, do it all for the glory of God. Rejoice in the Lord, always, and again I say, rejoice, Paul reminded us in Philippians. In conclusion, like any of the spiritual disciplines, Worship can be hard work. Think about it. Worship is an act of retaining focus on God. We can be a people of short-attention span. It can be hard to stay focused on God. But when we focus on God, something amazing happens. People become like that which we focus on. Focus on God and we will become like him. Have an attitude that says “I want to learn to worship better.” So maybe you need a trainer. If you look at a person and realize “That person excels at worshiping God 24/7,” contact them as ask them to train you to be a better worshiper.